Starting May 15th, 2019, Brae Burn GC will be hosting Ladies Night on Wednesday evenings. Tee times will begin at 5:30 pm. Arrive at 5 pm the first night for a league meeting and formats. 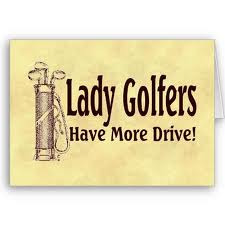 This league is designed to get ladies out and enjoy an evening on the golf course. Weekly drink, cocktail and food specials will be offered in the Tavern. This is a casual league and we will schedule different formats and fun weekly contests. Play with different people or with your same friends weekly. Brae Burn can customize a schedule, keep scores and leaders if desired. First ½ payment due week 1 is $140.00, with second ½ payment due week 7. We hope to see you for LADIES NIGHT OUT! at Brae Burn Golf Club for the 2019 season! Brae Burn Golf Club is extending an invitation to all women to play golf for the 2019 season! Book your event or tee-time NOW! best public greens in southeast Michigan. We look forward to seeing you over and over again.